Dogs can't resist the taste of grilled chicken – now they don't have to! 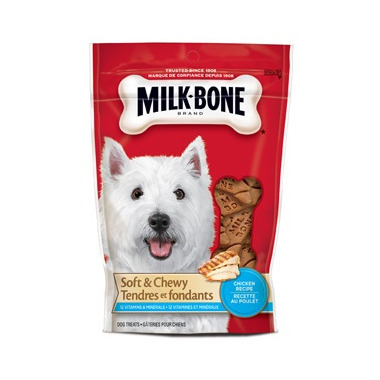 Soft & Chewy Milk-Bone Chicken Drumstix Dog Treats are so meaty, your dog will think they're straight off the BBQ! For a delicious taste your dog will love because your dog deserves the best. This is a great little treat for your dogs. I would highly recommend. They are just the right texture and they aren't too hard and not yet too soft. Would recommend!